The Malaysian state of Sarawak plans to build 12 new hydro-electric dams along the state’s waterways, saying the projects will create jobs, provide cheap renewable energy and meet the demands of future industrialisation. But critics question the sustainability of the project, saying it’s not only unnecessary but will flood huge swathes of the Borneo jungle and destroy the lives of tens of thousands of indigenous people. 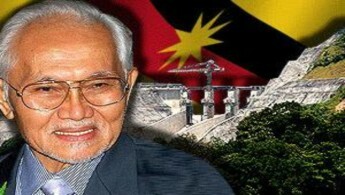 There are also questions about the role of Sarawak Chief Minister Taib Mahmud, whose family dominate much of the economic life in the state. Hywel Davies and his crew defied reporting restrictions to uncover a compelling story of corruption, greed and massive ecological damage.